Today’s marketers have an unprecedented depth and breadth of data available on customer behaviour, interactions and expectations. That data is captured from a growing diversity of sources, such as ecommerce platforms, digital payment systems, social media, mobile apps, sensors, beacons and more. ‘Big data’ has been a hot topic for several years, with hyper growth in areas such as social media generating an explosion of data. Every minute there are 2 million Google search inquiries, almost 0.75m pieces of shared content on Facebook, 48 hours of YouTube videos and 100k Tweets. Remarkably, it’s early days in terms of the volume and richness of data that brands will access to drive insights and deliver relevant experiences. According to Gartner, enterprise data will grow 650% in the next five years. It’s not difficult to understand what’s driving this growth. For example, the Internet of Things (IoT) is mushrooming, with Cisco predicting that 500 billion devices will be connected to the internet by 2025 compared to 10 billion currently. All of these devices will be capable of capturing data (For a retail perspective on the Internet of Things, take a look at the ‘Role Of Internet Of Things For Individualization In Retail’). 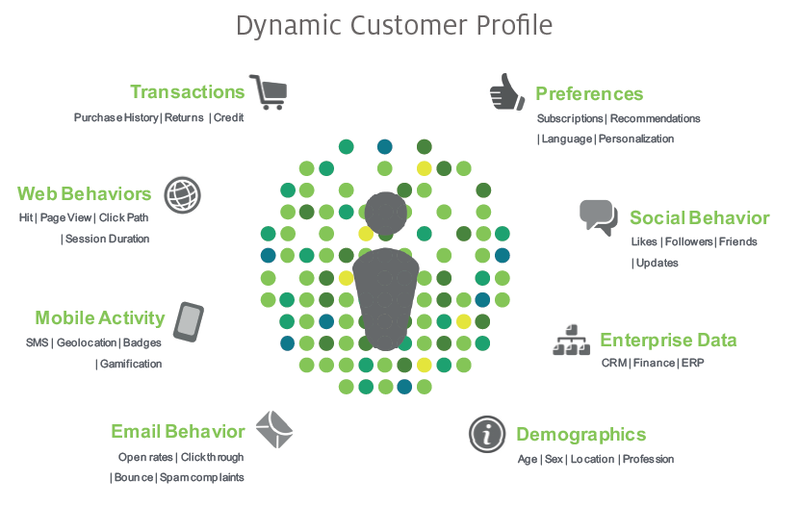 So a ‘Dynamic Customer Profile’ is an understanding of a customer’s behaviour, interactions and expectations driven by data and available in real time. The customer profile constantly evolves and by using AI, machine learning and predictive analytics, a brand can make effective decisions on how best to support and interact with the customer. In a digital world where consumers compare products almost instantly, have tremendous pricing transparency and diminishing brand loyalty, customer experience is a growing priority. For example, more than half of customers today say they’ve switched companies solely due to a poor user experiences. Integral to customer experience is the ability to improve relevance for customers, and where appropriate personalize their journeys. There is abundant market evidence that 1-to-1 personalization increases engagement, revenue, conversion and customer loyalty. An Infosys survey found 86% of people say personalization plays a role in their buying decisions, with customers who clicked on personalization elements 125% more likely to buy. So customer data is key to personalizing customer journeys. A quick glance into the market shows that companies are now working overtime to bring their data together in a form where it can be effectively exploited. Typical data includes behaviour, context, transaction history, demographics, psychographics, geolocation, status in the buying journey and suitability in terms of device. However, some companies seem to be falling into a self induced trap by obsessing about collecting and harmonising data. They’re losing sight of the end game, to make real time decisions based on data insights to improve outcomes for customers. 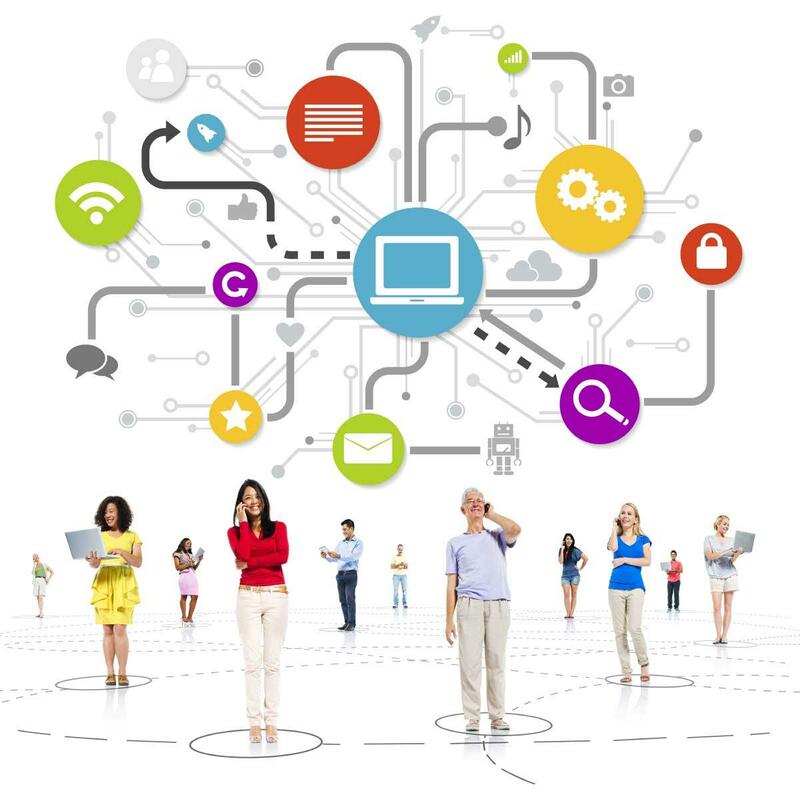 According to a study from SAS, only 23% of companies are able to integrate customer insights in real-time. But for those more enlightened it becomes much easier to understand customers preferences and also predict their intent. 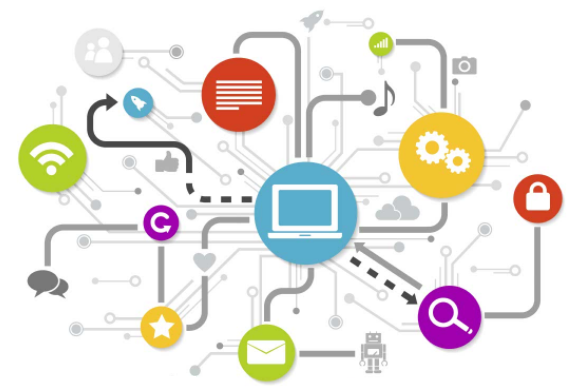 That insight can then be combined with content intelligence designed to understand the characteristics of different types of content (for example product or marketing content), to deliver personalized customer journeys and experiences. Knexus is a real time decision making engine using AI & proprietary algorithms to match social, marketing & product content with dynamic customer profiles. The platform delivers personalized customer journeys in real time that improve engagement and increase sales (across ecommerce, websites, apps, and email).